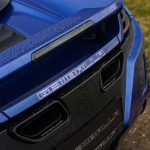 Gemballa has offered a personalization program for the McLaren 12C since 2012. 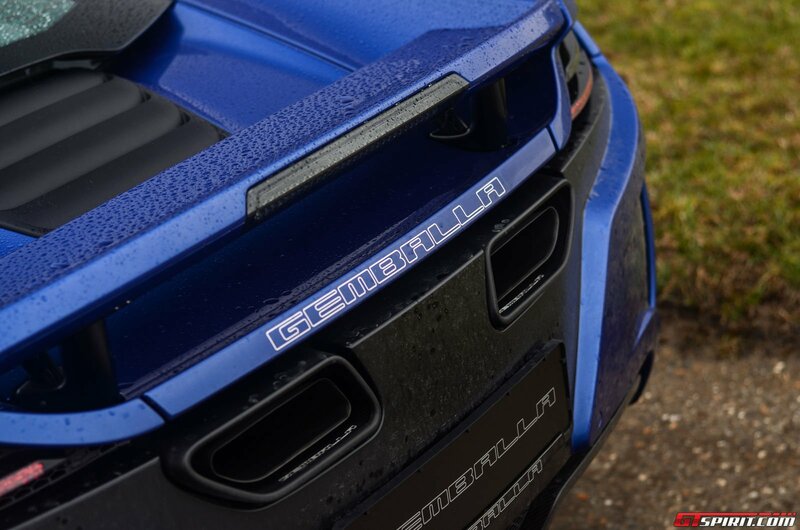 On a rainy day earlier this year we had the opportunity to take the Gemballa 12C GT out to get an overall first impression for the package. 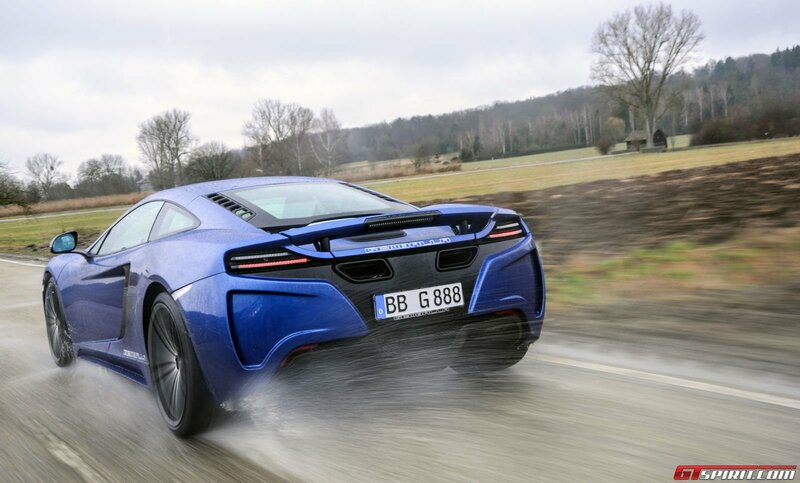 Despite the expectations you might have with the name Gemballa, the Gemballa 12C GT includes only styling and personalization for the McLaren 12C Coupe and no performance upgrade (yet). 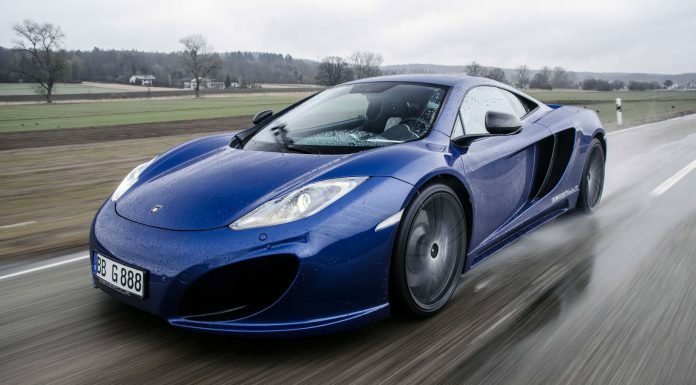 Underneath the Gemballa 12C GT body and interior personalization is the 2013 McLaren 12C. 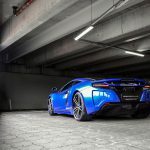 The 3.8 liter twin-turbocharged V8 engine features 625hp and 600Nm of torque which makes for a zero to 100km/h time of just 3.1 seconds. To 200km/h it takes 8.8 seconds and it tops out at 332km/h. 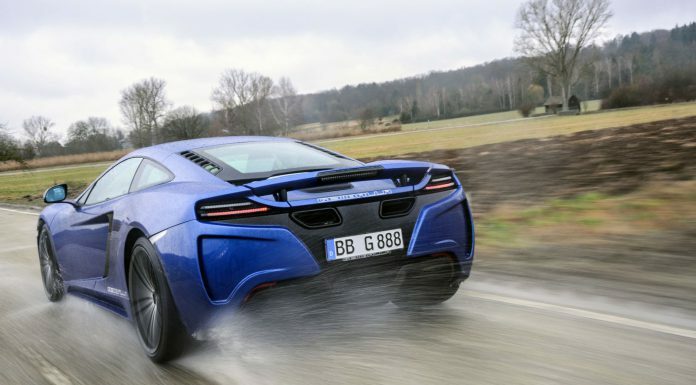 We have already reviewed the McLaren 12C but you might wonder what Gemballa brings to the table? Gemballa offers a range of individualization options including a carbon fibre aerodynamics package that includes a new front- and rear and sideskirts. 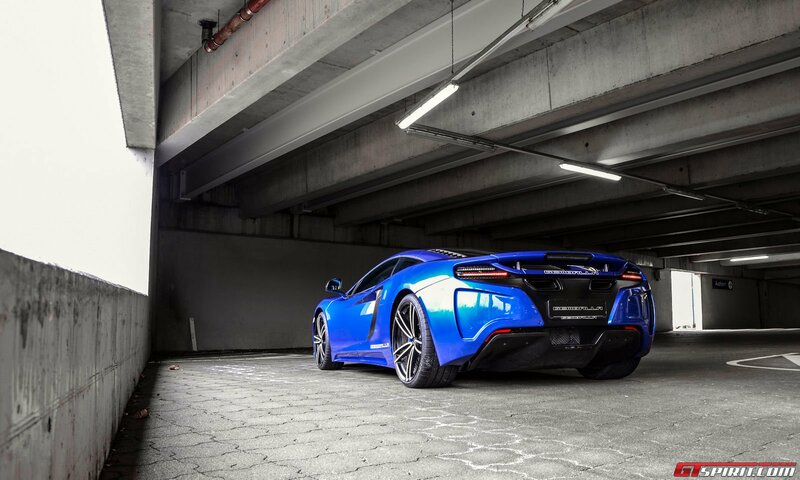 New Gemballa tailpipes are also part of this package. On the inside you can opt for dials in the colour of your choice and leather / alcantara in any colour combination you wish. Wheel wise Gemballa offers their new GForged-one ultra-light wheel in 20 and 21-inch diameters for the front and rear axles respectively. 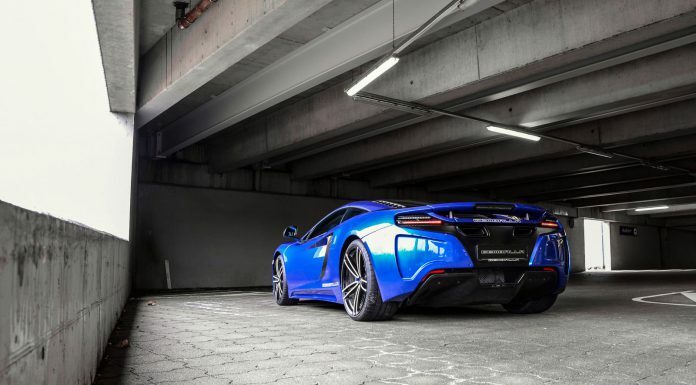 Although these wheels are an inch larger in diameter than their factory counterparts, their low weight ensures that the unsprung weight of the vehicle remains unchanged. The GForged-one wheels come in “Black Magic” or “Gunmetal”, with the option of a gloss turned “diamond cut” finish for their spokes. 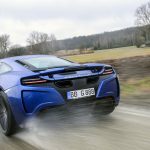 The new front and rear facias of the Gemballa 12C GT create a different appearance for the McLaren 12C and on the wet streets of Baden-Württemberg the blue Gemballa 12C GT clearly stands out of the crowd. The slightly bigger wheels make the ride a little bit harder especially on bad quality roads. Overall the team at Gemballa offers a package for people who are looking for a 12C with a twist. 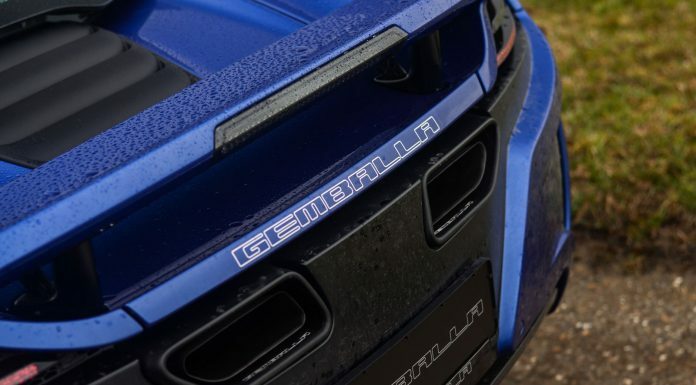 The Gemballa 12C GT aims for those who think the standard car is too tame or would like to enhance their British sportscar with a bit of German individualization on the inside or the outside.